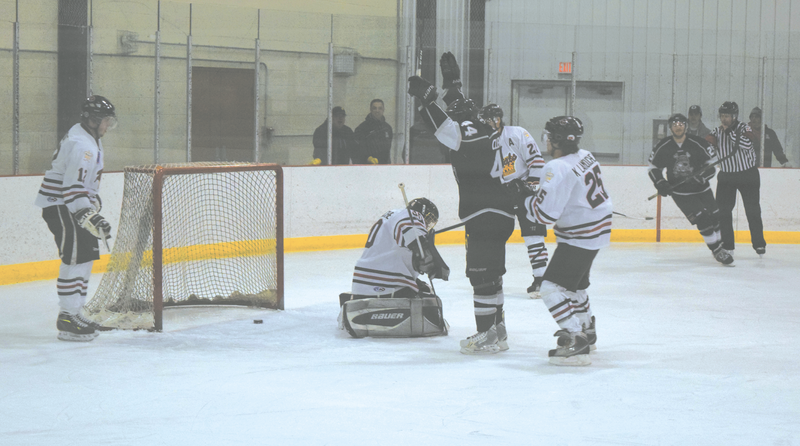 Brock Clement of the Pirates scores against the Regals in the second period of their game on Jan. 19. Devon Quartly and Joel Pelletier received the assists. The Pirates went on to win the game 7-1. 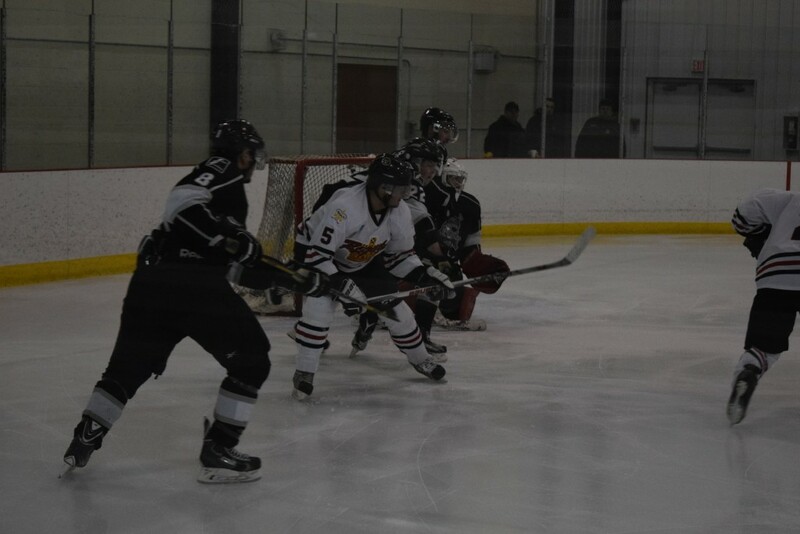 The Pirates trounced the Regals 7-1. 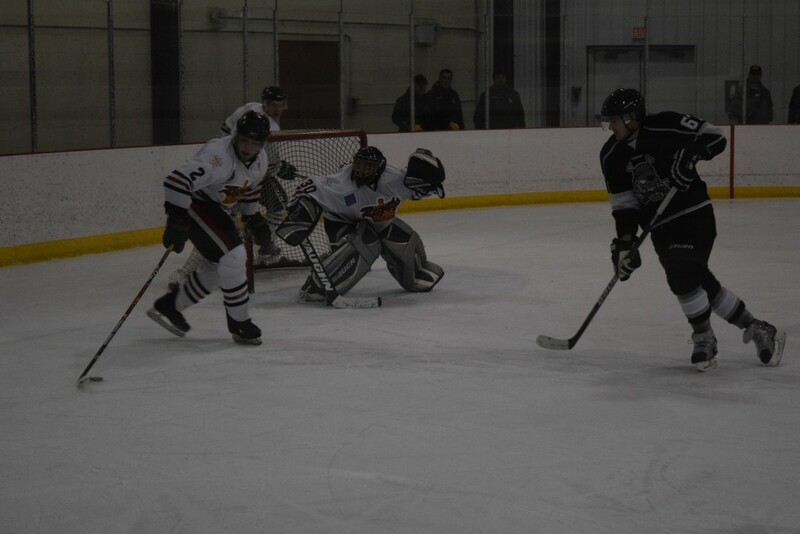 Brandon Rogdanck opened the scoring for the Pirates in the first period. Then Jay Anderson scored a power play goal. 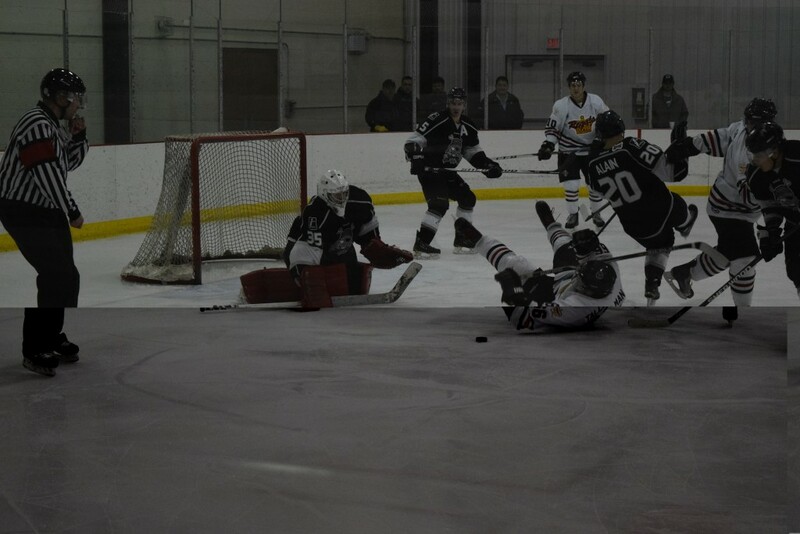 Darwin Payou scored the Regals’ only goal of the game late in the first period. 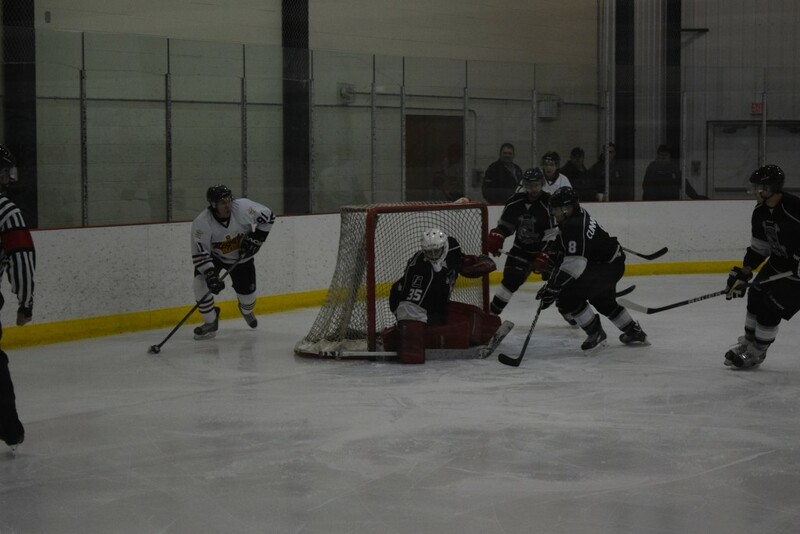 The Pirates scored the rest of their goals in the second period. Morgan Maclean’s short-handed goal was confirmed after the officials discussed it. Pat Rowan also scored and his goal is featured on the Express’ Facebook page. Rounding out the other scorers were Brock Clement, Dylan Cunningham and Jason Bouchard. 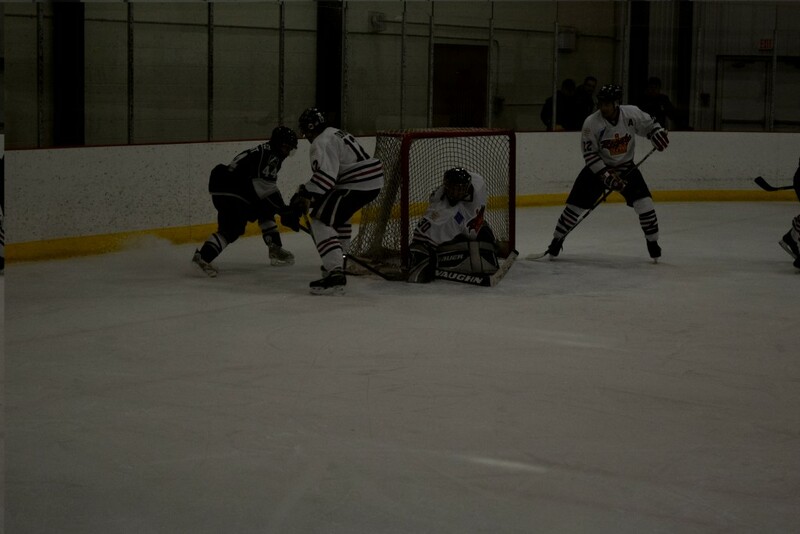 Shots on goal for the game were 59-27 in favour of the Pirates. The next and last home game is Jan. 30.